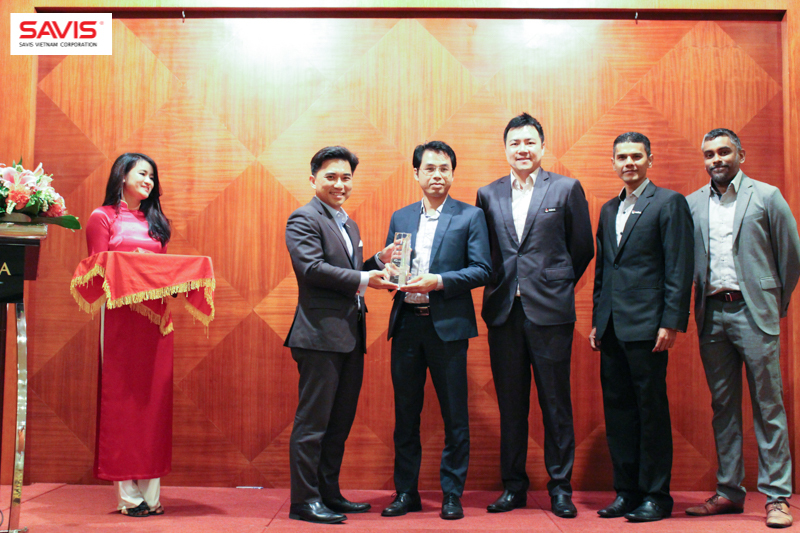 As a partner with excellent business results, deep market insight, as well as contribution and commitment in bringing Red Hat solutions to customers, SAVIS was honored as FY18 ISV Partner of the Year of Red Hat Vietnam at the Red Hat Vietnam event partner 2018. Red Hat Partner Appreciation Day on the ​22 May ​2018 is a wonderful opportunity to hear on Red Hat’s latest business updates as well as celebrate the success and achievements of Red Hat partners. Mr. Hoang Nguyen Van – Representative of SAVIS received Red Hat commemorative plaque as an appreciation for tremendous support over the past year. SAVIS have identified the cooperation relationship with Red Hat as a long-term strategic cooperation. With the goal of becoming the best Red Hat partner in Vietnam, SAVIS’s experts are always striving to research and promote the introduction and sale of the latest Red Hat software to customers in Vietnam. The “ISV Partner of the Year” award affirms that SAVIS is Red Hat’s number one partner in Vietnam. Also, it encourages the expansion of bilateral cooperation in many fields in the following years.